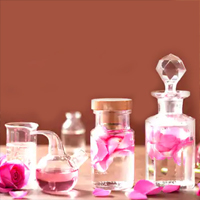 Flavors and Fragrances are integral components of a wide range of consumer goods and can be used in food, wine, spices, floral scent, perfumes, fragrance oils, and essential oils. Also, many of the aroma compounds play a significant role in the production of Flavorants, which are used in the food service industry to flavor, improve, and generally increase the appeal of their products. Used in wide variety of products in beauty and personal care, medicines, household care, candles and confectionary applications.